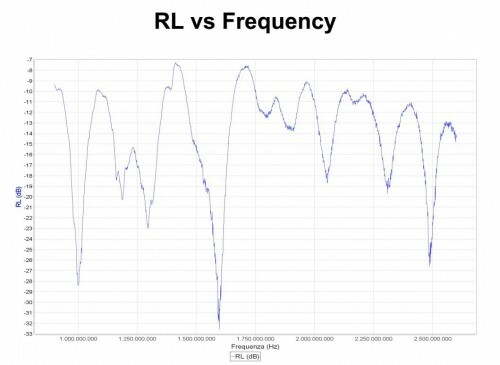 Ham radio enthusiast and RF designer Marco Cardelli (IZ5IOW) recently wrote in and wanted to share his PCB log periodic antenna design which he has been using together with RTL-SDR dongles. 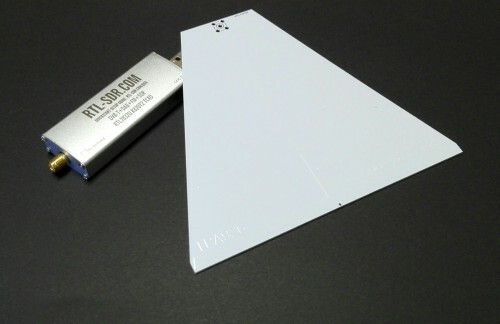 Log periodic’s are very wideband directional antennas that can easily be printed onto a circuit board. Marco’s antenna covers a frequency range of 900 MHz – 2600 MHz. The original principal focus was for EMI/EMC measurements, but Marco writes that it works perfectly fine for microwave experiments on the 23 and 13cm bands of wi-fi links. Marco currently uses this antenna for reception of microwave beacons. Currently there are no designs or plans on his website for the antenna, but we suspect that he will put them up soon. If you’d rather purchase an antenna like this instead building one, then we’ve seen in the past good reviews from the PCB antennas available from wa5vjb at www.wa5vjb.com. The wideband PCB log-periodic antenna. Return Loss of the PCB Log Periodic antenna.